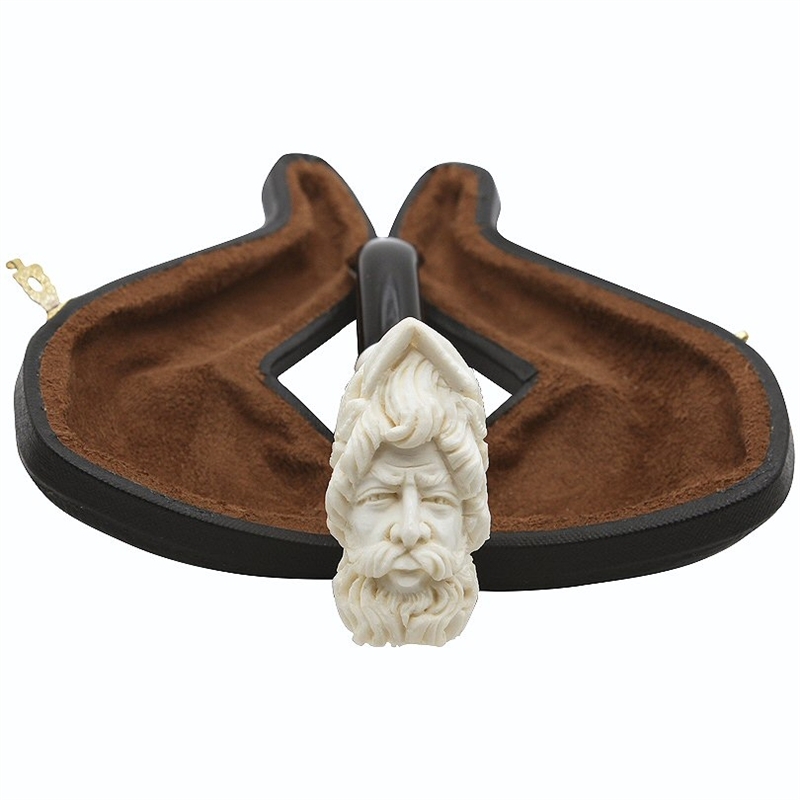 Hand Carved Zeus Knurl Meerschaum Pipe - God of War, Zeus, is carved in full detail accentuating a strong bearded face and flowing hair held in place with a laurel leaf wreath. A smooth carved knurl with bands at each end joins the smooth shank and the black bent stem. 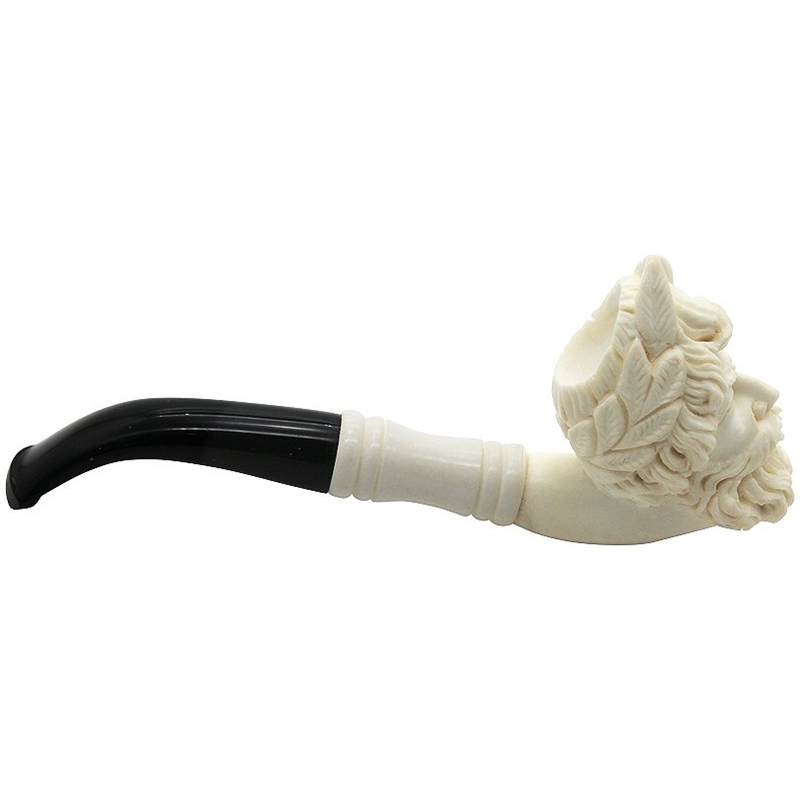 This gives the pipe a striking contrast both in color and texture. 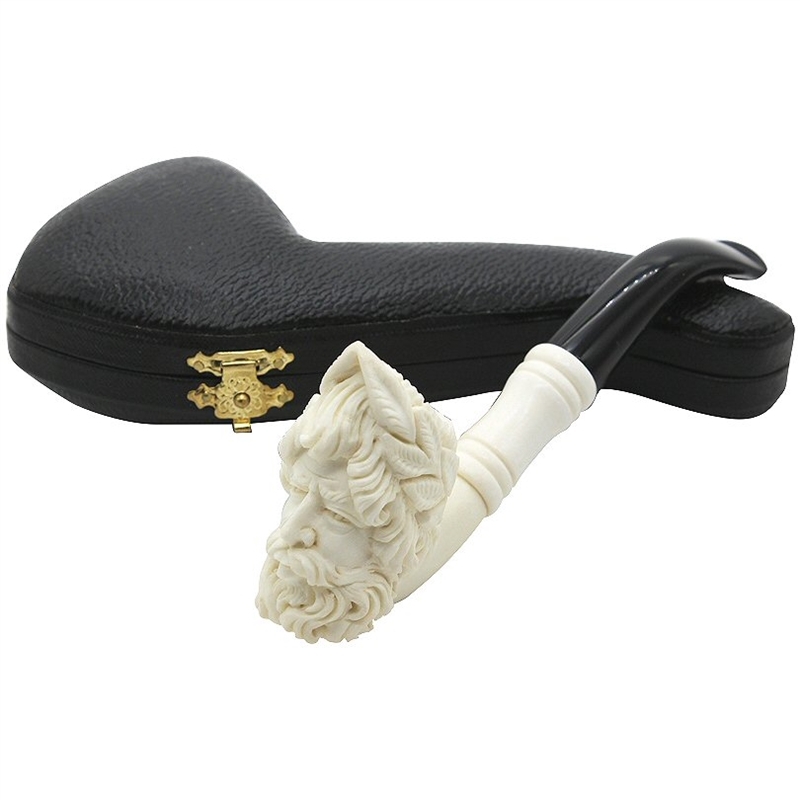 Definitely a special pipe for the pipe smoker fond of Greek mythology.